I got my box insanely late this month. They said there was some kind of billing issue but I doubt it. I mean, if there was, it was on their side. Anyway, that was their excuse. The theme this month is Power Up. I'm not going to lie to you and tell you I care about the theme because I don't, I just like the samples! This one came with a booklet with a bunch of challenges. I opened it up to see what kind of challenges they were. Are you ready for this? I happened to open up to Challenge #2: Part your hair differently. I'll let you think about that for awhile. 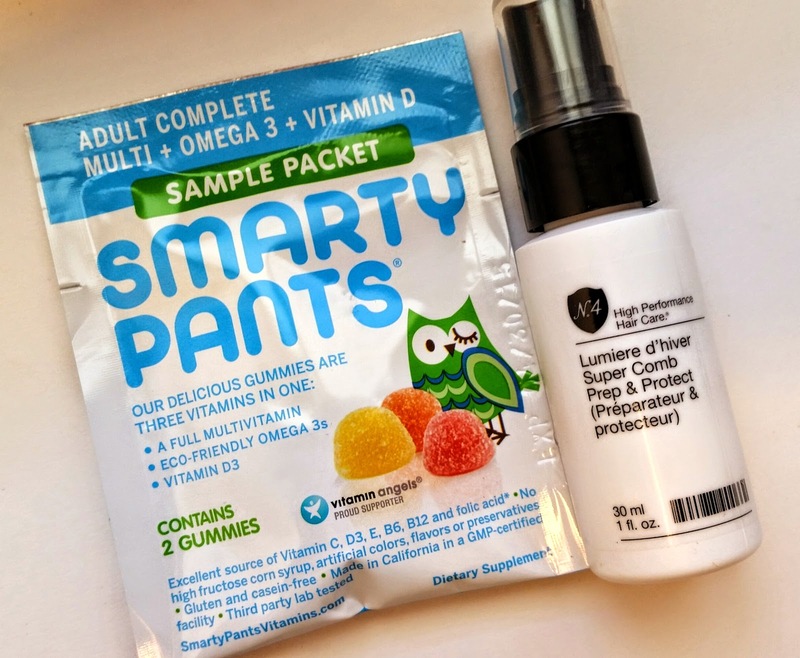 SmartyPants All-in-One Gummy Vitamins- These are a lifestyle extra which means they don't count toward the value of the box. Which is good, because if these were one of my samples, I would be grumpy. At least they are for adults! (I'm looking at you, Bulubox...). No. 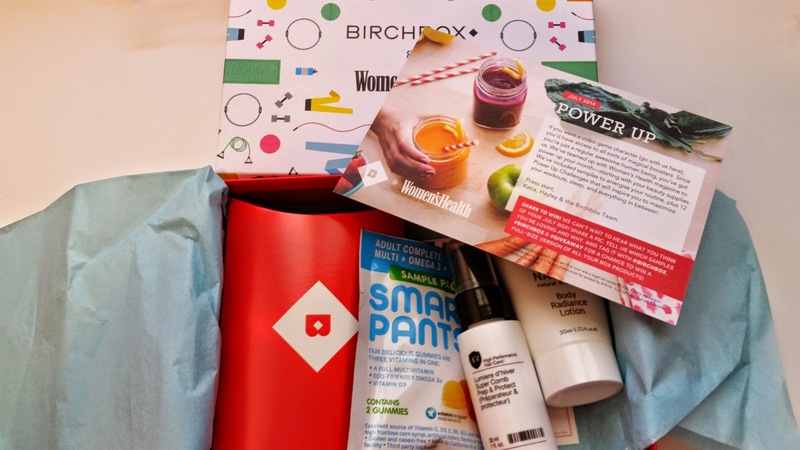 4 super Comb Prep and Protect- This might be my biggest beef with Birchbox. WAY too much hair stuff! WAY too much! SERIOUSLY way too much. I marked that I have perfect hair that is too short for a ponytail on my profile and I still get PILES of hair crap. This is a leave in conditioner. Of course, say what I will about hair crap, everytime I see their Beauty Protector Leave In Conditioner, I'm totally happy. I adore that stuff!! But thats it. Naobay Body Radiance Lotion- Olive oil and avocado oil based moisturizer for hydrating and softening skin. This smells amaaazing! I'm keeping it. It's a great size, too. Supergoop Advanced Anti-Aging Eye Cream SPF 37- A peptide packed antiaging cream for brightening under eyes and providing SPF protection. This is super tiny. Only 2ml but eyes aren't very big. This is the size that all eye serums should come in. With the lower price, too, of course. 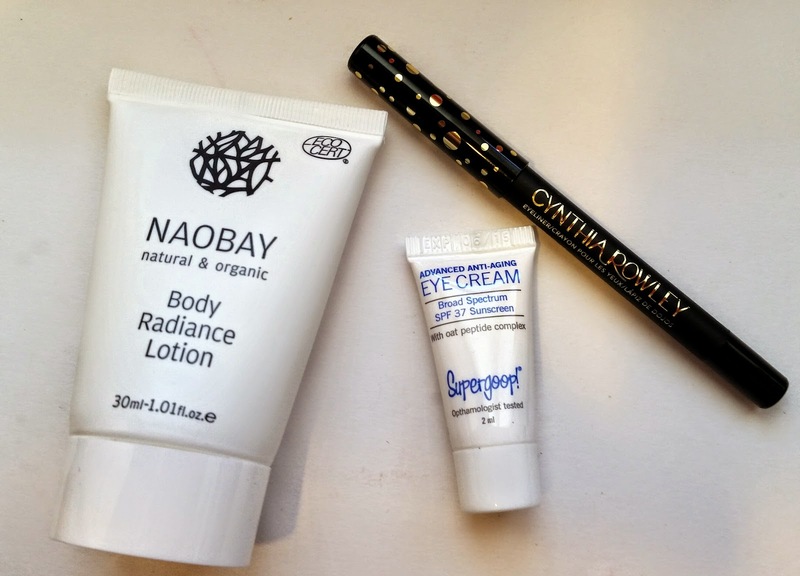 Cynthia Rowley Beauty Black Eyeliner- I was hoping this would be the silver one but no luck! Smudge proof for all-day wear. I've got so many black liners so this will inevitably go up for swaps. Oh, and I almost forgot! 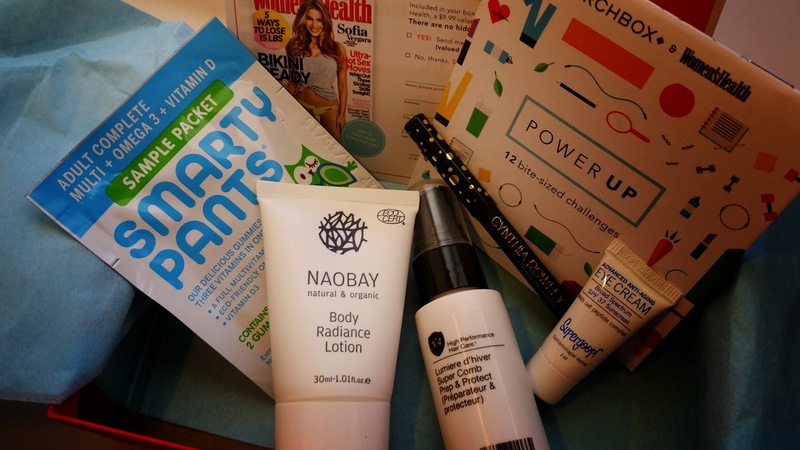 This comes with a card for a free 1 year subscription to Womens Health Magazine! That's 10 issues (why 10, I wonder? Which two months do they skip? ). You wont be re-enrolled and if you don't want the magazine you can send in for the $9.99 refund. 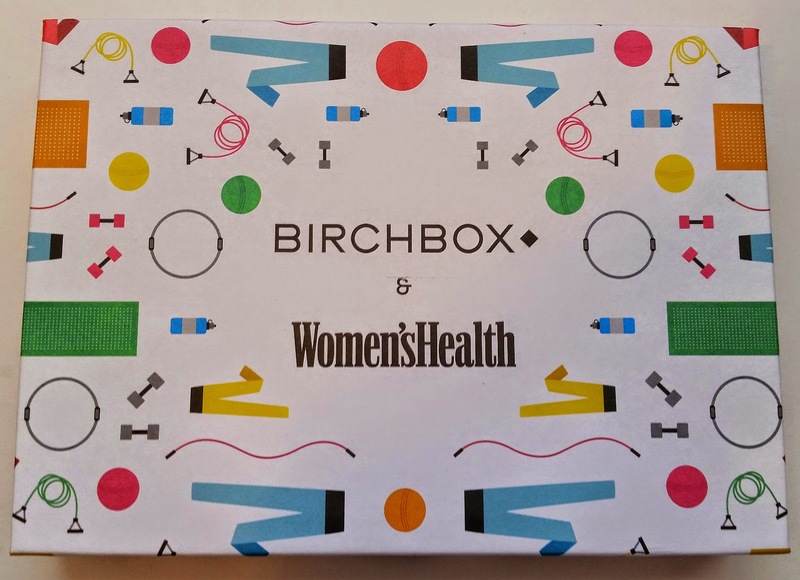 If you want to sign up for Birchbox, you can do that here. There's no waitlist with my referral link and I'll be super happy if you use it. This box doesn't seem awful, but it's kind of boring (if we're being honest). At least if you send the magazine card in it basically pays for the box! Whoa, you got it even later than me? As long as youre in the States I'm pretty sure they'll give you like a hundred points if you write in to customer service about receiving it late. Then you can buy more things from the shop! I'd take that black eyeliner over my silver one any day!